I’ve always been curious about streaming, and with the recent release of a game I’d backed on Kickstarter it seemed like the perfect chance. Although I’ve had an account on Twitch for a while, it’s not until this year that I started to actively use it. I wasn’t sure who to follow or what to do, and it felt like an already-established community that had put up barriers to entry for newcomers. There was a lot of jargon thrown around, I had no idea what subscriptions were for and stream titles and chat were littered with strange looking commands and acronyms. As a user I’m still not entirely sure what different things mean, but I’ve still found myself watching more and more people streaming. The main catalyst for me was when popular gaming YouTuber and Yogscast member Sips moved over to Twitch. Sips still posted recorded streams to his alternate YouTube channel and I’d watch them on my lunch or while cleaning the house. The interactions with his audience intrigued me, and I soon found myself dropping in and out of his live sessions on Twitch. From there I started following the main Yogscast channel, other members of the group and then other players I’d never heard of. Meanwhile, in June 2015 InXile Entertainment launched the Kickstarter campaign for The Bard’s Tale IV, a new release in the decades old, iconic dungeon-crawling RPG series. 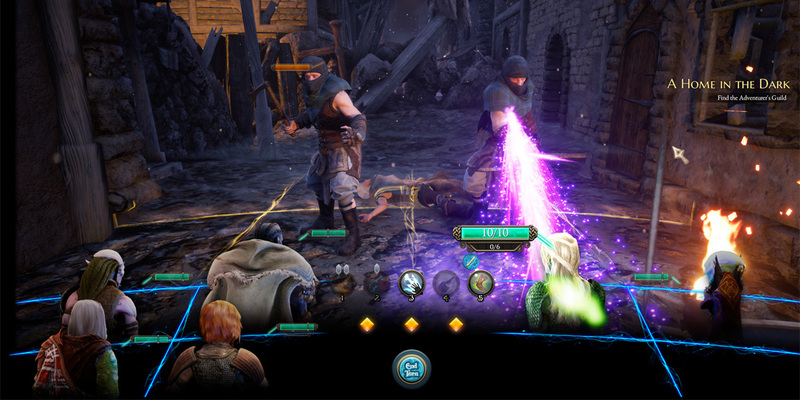 In September 2018 the game was finally released, although it was initially borderline unplayable. During the first week of release I took to Twitch to look for people playing, until a patch was issued. Not many people were streaming the Bard’s Tale, and after spending more time on Twitch I’d grown curious. I’d always wondered how streaming worked, what kind of software was needed and how involved it was from a technical point. I downloaded Streamlabs Open Broadcaster Software (often called Steamlabs OBS or SLOBS) and discovered just how easy it is. Bard’s Tale 4 has been notorious for bugs and technical issues in it’s first week or so of release. It’s not exactly cutting edge in terms of visuals, but my (decent) computer still struggled to run it with everything turned up to max. I dropped the graphics quality down and it ran fine. Presumable due to the processing power needed by Streamlabs OBS I needed to turn the graphics down even more to get a smooth stream. I wasn’t too concerned, as I’d rather it ran smooth and look a little ropey than be jittery and prone to crashing. Once I hit Go and started streaming I almost forgot that I was potentially being watched. Occasionally I’d see a viewer or two and feel a little thrill, so I was sure to say hello. After about 30 minutes I even got a follower, which I assumed was a mistake! After about 90 minutes I wrapped it up. I enjoyed the experience, even though it was mostly solo, and absolutely plan on doing it again. I was nervous to speak to strangers but glad that I dipped a toe in the water on my first session. That said, I discovered later that I’d clicked my microphone off quite early in the stream. I’d probably turned it off to talk to the dog and forgotten to turn it back on again! Still, I’m glad that I made the effort to talk even if no one heard and no one was there to hear – next time it won’t be so intimidating!